The Secret Channel Catfish Rig eBook is a step by steo guide on how to make and fish with the absolute best channel catfish rig ever. Many catfish anglers report catching as much as 500% more fish when fishing with the Secret Catfish Rig over other traditional catfish rigs. Chad Ferguson, professional Catfish Guide and owner of Learn To Catch Catfish covers the Secret Catfish Rig in depth in this ebook. 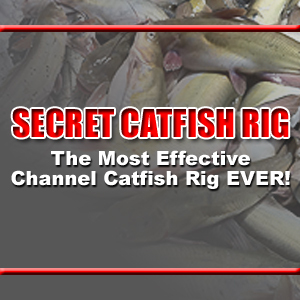 The Secret Catfish Rig ebook covers exactly how to make this amazing fishing rig in step by step details and how to fish with it so you can catch more channel catfish. As an added bonus you get details, tips and tricks on how to fish with the Secret Catfish Rig to help you find and catch more fish.